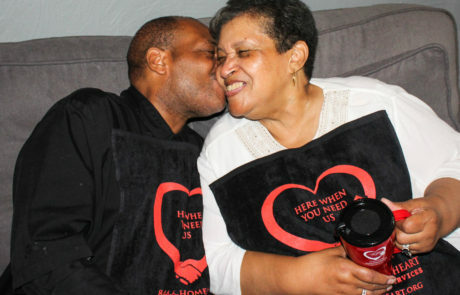 Edward Thomas (Ed), has been a caregiver to his mother, Elizabeth Thomas (74), for over four years with Hands From The Heart Home Healthcare Services. 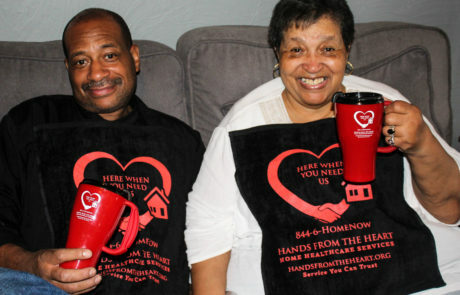 Hands From The Heart is a non-medical home healthcare agency providing home care services to seniors, veterans and physically disabled, enabling those in need to continue to live in the comfort of their own homes. Hands From The Heart employs certified nursing assistants and caregivers, to assist clients with non-medical needs such as personal care, grooming, meal preparation and light housekeeping. For qualified Medicaid recipients, we hire family members or close friends, which often helps relieve financial stress on the entire family. This mother-son duo was recently recognized by our agency for winning Client and Caregiver of the Month for June 2018. Every month, Hands From The Heart recognizes a Client and Caregiver who exhibit the care, compassion and dedication of our agency. 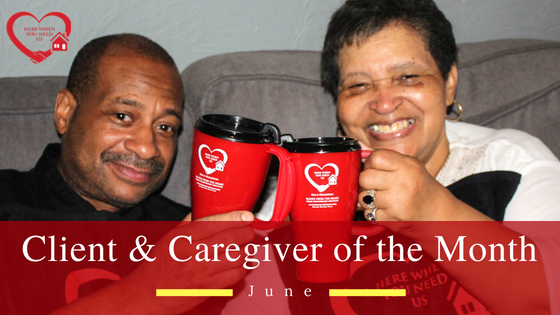 We were honored to recognize Elizabeth Thomas (client) and Edward Thomas (caregiver) as our June recipients. Our June newsletter will be distributed Friday, June 1st — available by email or via social media. As Elizabeth is preparing for her 75th birthday celebration in October, she is looking back at how lucky she feels to have had wonderful family surrounding her and helping her with her daily activities. Elizabeth has always felt close to her oldest son, Ed. He has stepped up to care for his mother, with help from his other five siblings. Ed spends his days caring for his mother, and his evenings working as a chef in several restaurants throughout the city of Philadelphia. Elizabeth was quick to tell us how she felt about Hands From the Heart and how we enthusiastically engage with our clients and caregivers. 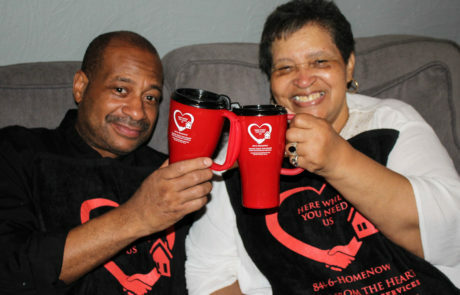 To read more about how Hands From The Heart is putting the spotlight on our rock star clients and caregivers, click here to view our other caregivers and clients of the month. To sign up for our monthly newsletter, join here or visit our Facebook page today.